Dürer to Diebenkorn: Recent Acquisitions of Art of Paper, National Gallery of Art, Washington, D.C., 1992, no. 71. 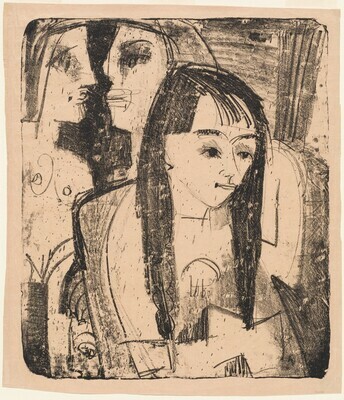 Modern German Prints and Drawings from the Kainen Collection, National Gallery of Art, Washington, DC, 2014. Dube, Annemarie and Wolf-Dieter Dube. E.L. Kirchner; das graphische Werke. Munich: Prestel-Verlag, 1967.